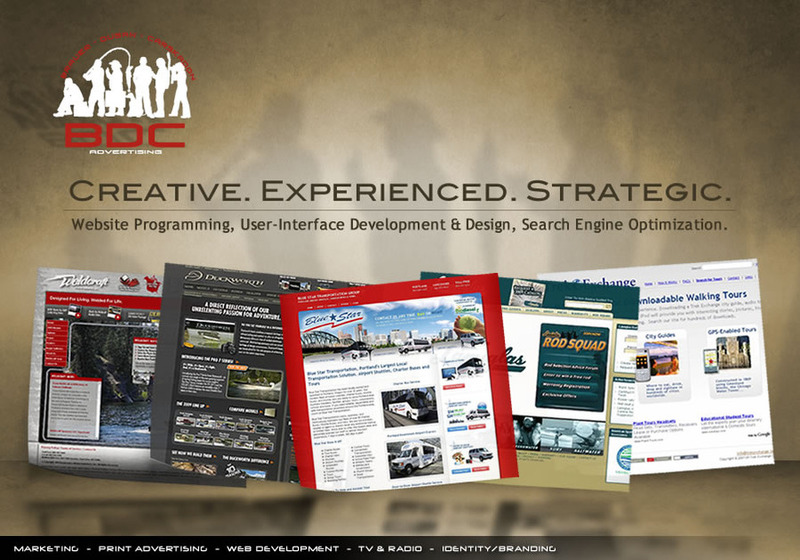 BDC Advertising, Inc. is a full service advertising and marketing agency. There isn’t anything we don’t do in these worlds including: print, television and radio advertising; Internet advertising; web design; custom web-based programming; market planning; media-buying; direct mail; e-newsletters; e-blast campaigns; video production; television production; radio scripting and production; premium graphic design; complete creative services; outdoor photography & product photography; Internet marketing; market analysis; and copywriting. BDC Advertising. Creative. Experienced. Strategic. Website Programming, User-Interface Development & Design, Search Engine Optimization.